Find the products that you require by going to 'shop wholesale' or 'shop retail'. Note that all prices are exclusive of shipping costs. Select the product you require, select size, quantity and 'Add to basket'. Once you are satisfied that you have made all sections of products you require click ‘View Basket’. NOTE OUR MINIMUM ORDER BEFORE DELIVERY COST IS £30. Check the products you have ordered, then click 'Proceed to Checkout'. If you have an account login, if not enter your billing details and delivery details (if different to your billing details). Select your delivery preference, read our terms and conditions and click 'Pay securely with SagePay'. 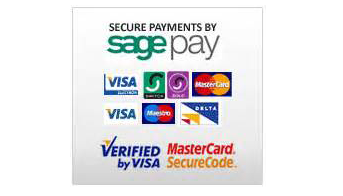 You will be forwarded to our secure payment via SagePay. You will receive an email confirmation of your purchase soon after your payment is made. No contract is formed between us until after you have received our confirmation. Any problems, just let us know. Download or browse our helpful PDF guides. Ready to order? Call direct. Great Britain is split into several regions of provenance also know as seed zone. TreesPlease are committed to producing quality forestry trees for the timber trade.